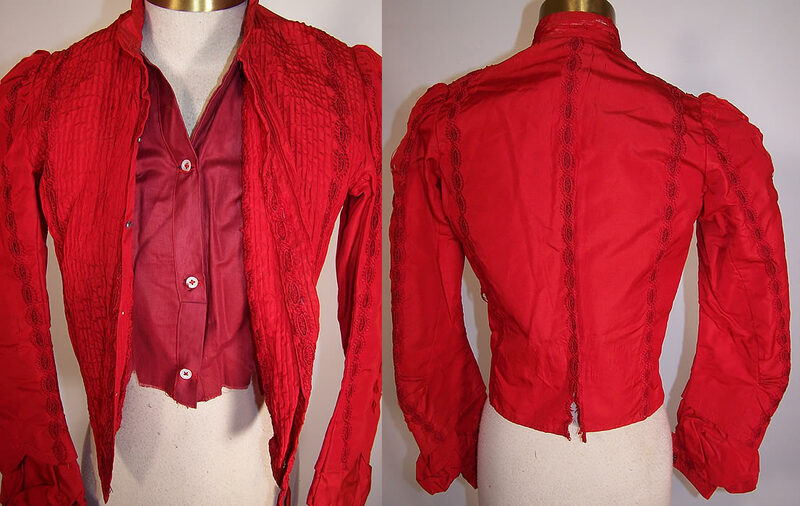 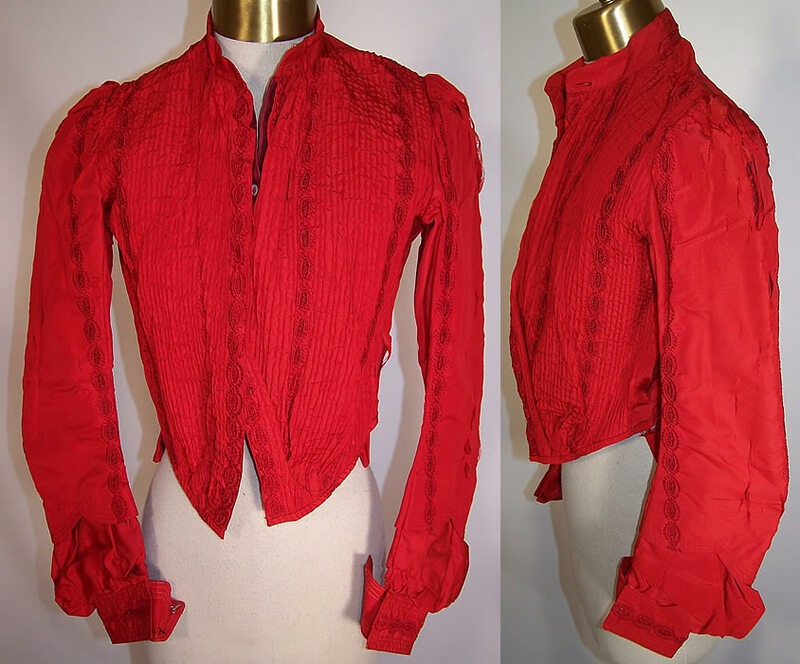 This is a vintage Victorian era 1890 red silk pleated lace bodice blouse top. 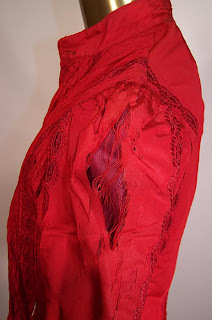 It is made of a red silk pleated fabric with eyelet lace inserts. Blouse is form fitting, gathered shoulders, long sleeves, shirt band collar, fully lined burgundy red cotton fabric with both pearl buttons and hook closures on front.